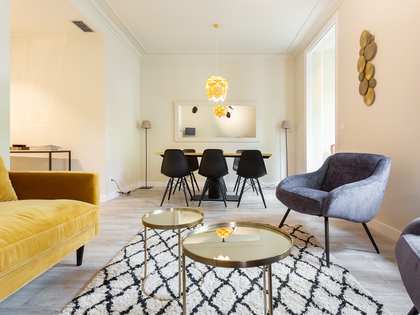 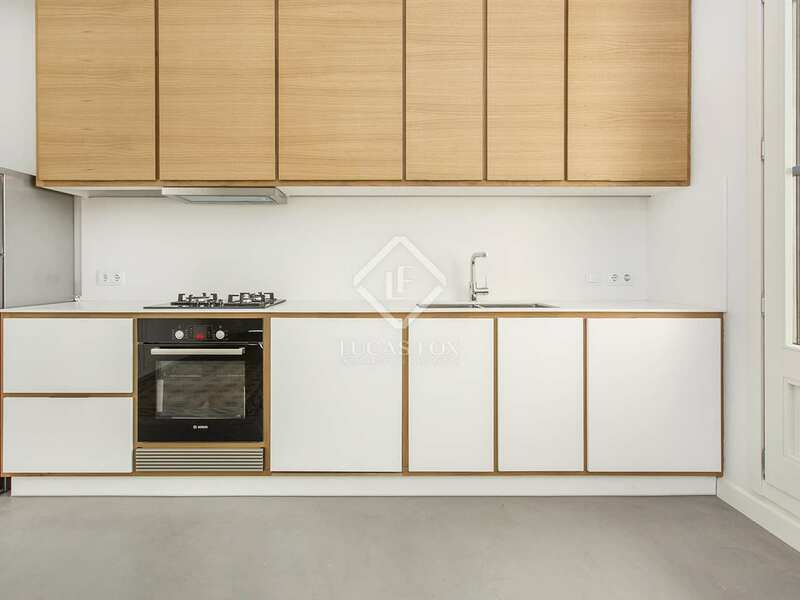 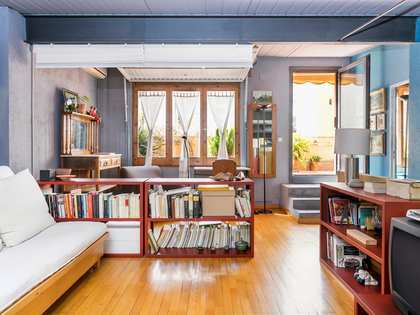 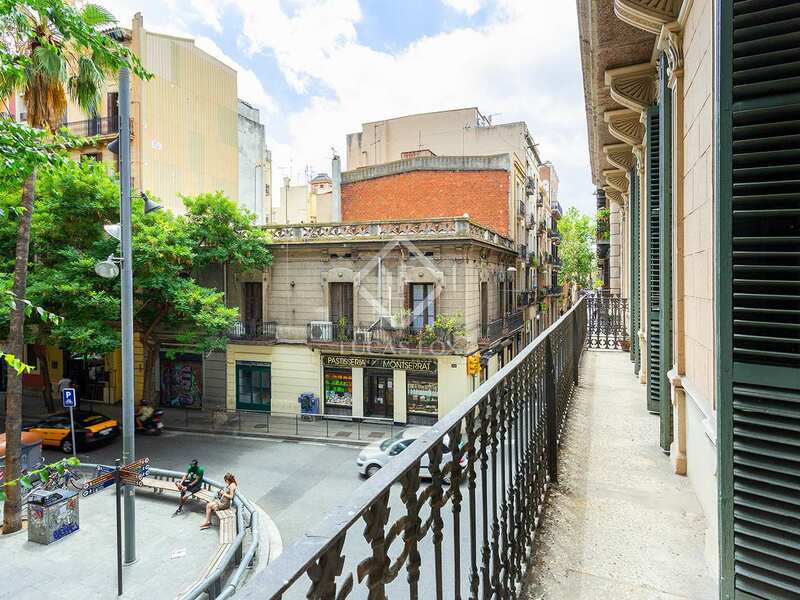 In a listed Modernist building, at the heart of the trendy Gracia neighbourhood, we find this entirely renovated apartment with a terrace and amazing period features. 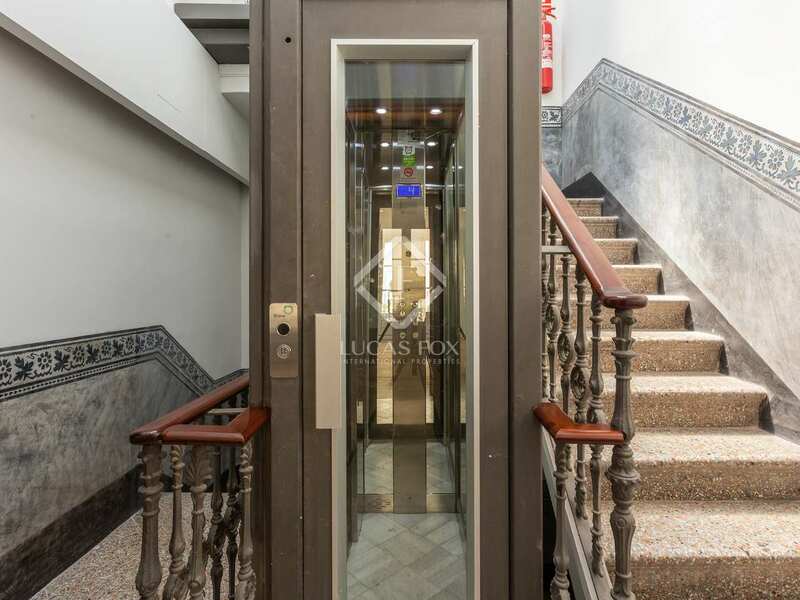 The building itself has been fully renovated, including the façade, and a new lift has been installed. 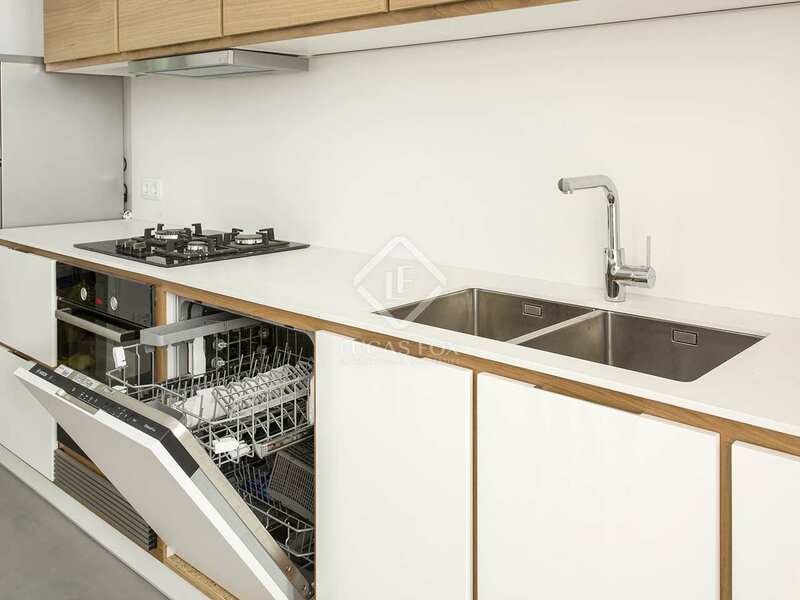 This luxury apartment is absolutely unique. 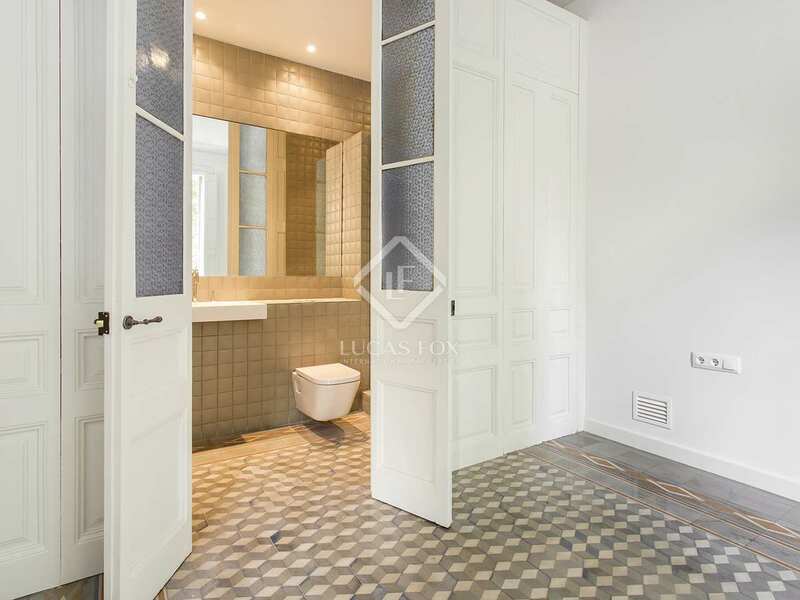 A sensitive renovation of this period property has maintained all of the original features, such as the pretty mosaic floor tiles and high ceilings with decorative mouldings. 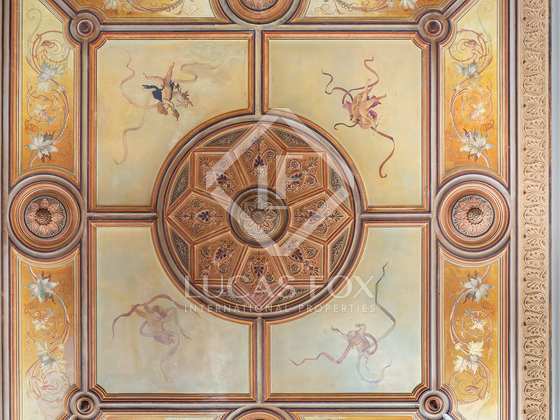 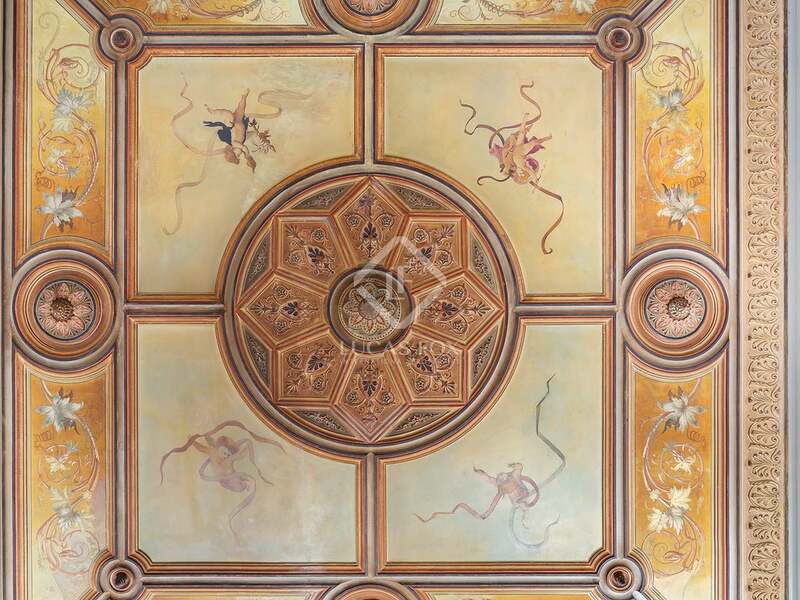 The living room ceiling in particular was restored entirely by a specialist painter who has worked on the restoration of several Spanish churches. 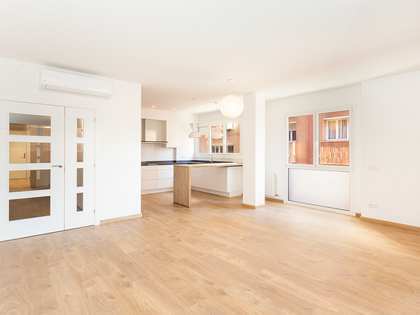 The apartment is completely brand new, including the electrical installations, and so is presented in perfect move-in condition. 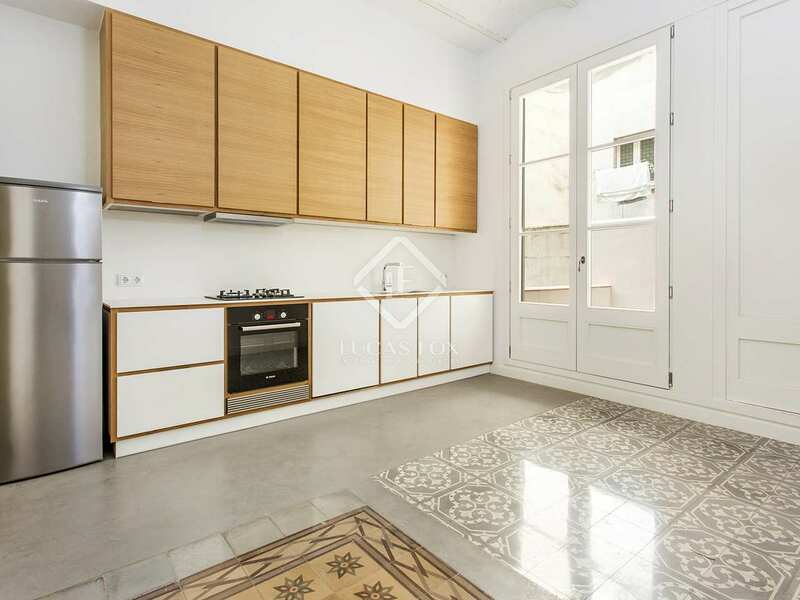 It has a living room, a brand new modern kitchen with a washing machine and dryer as well as space for a table and chairs. 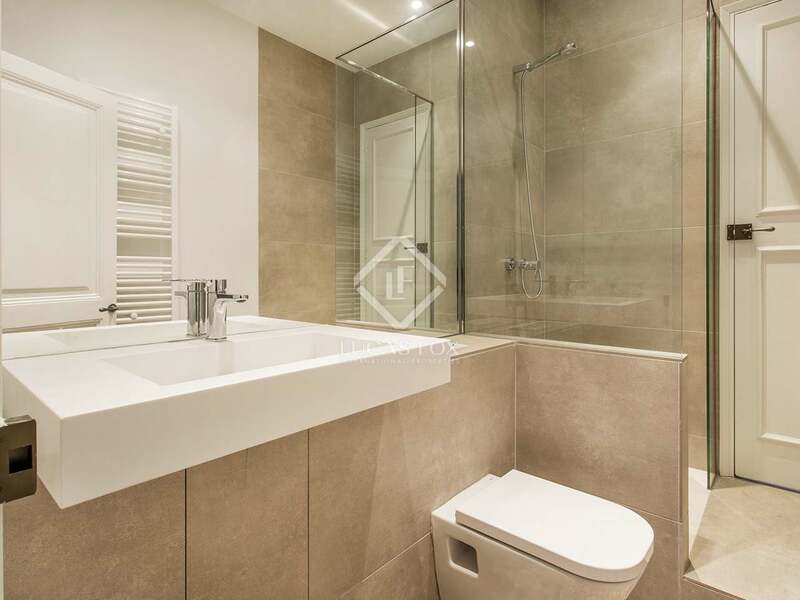 There are 3 bedrooms, one of which is ensuite, and a second bathroom completes the layout of this property. 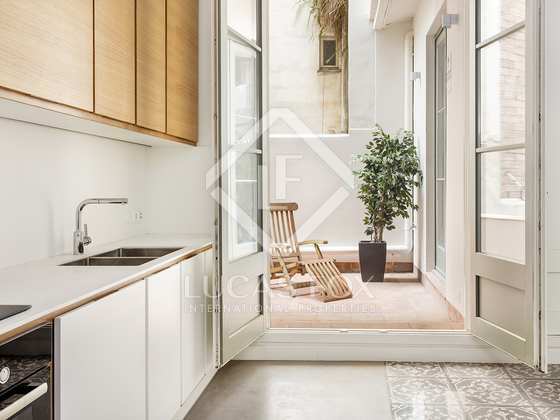 Both the spacious kitchen and one of the bedrooms enjoy direct access to a terrace. 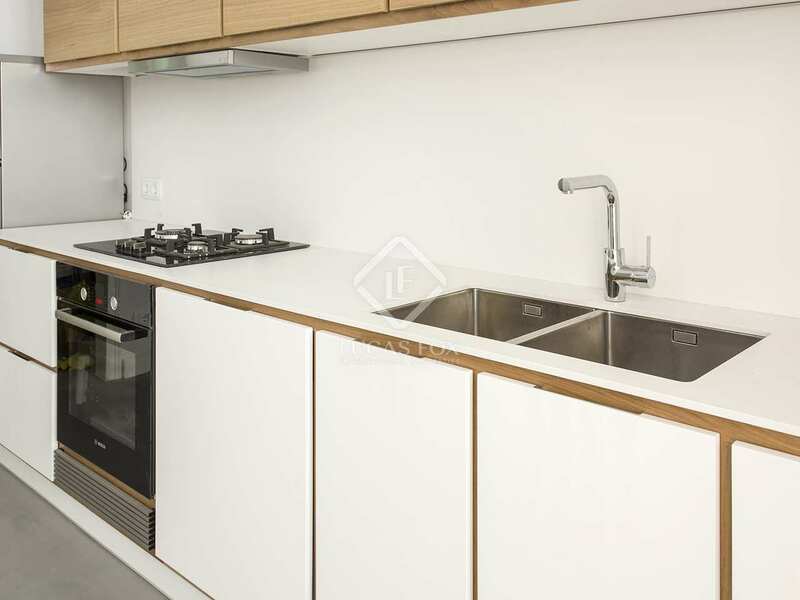 Additional features include double glazed windows, air conditioning, heating, balconies overlooking the street and an alarm system. 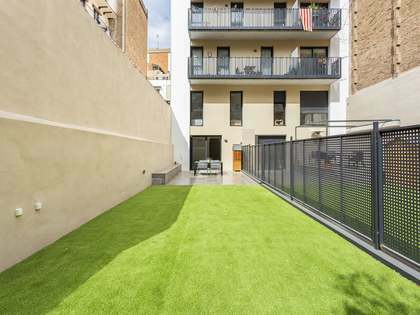 What's more, the new owner may enjoy access to the communal rooftop terrace which offers fabulous views. 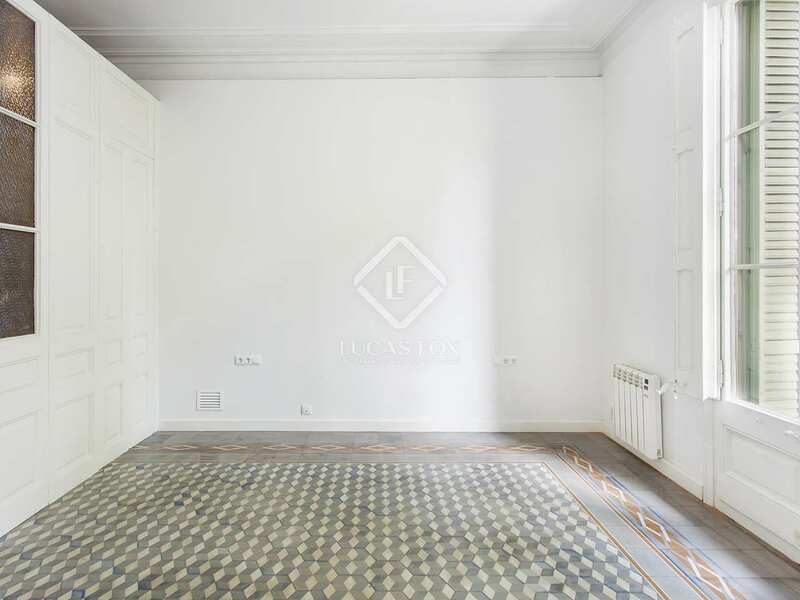 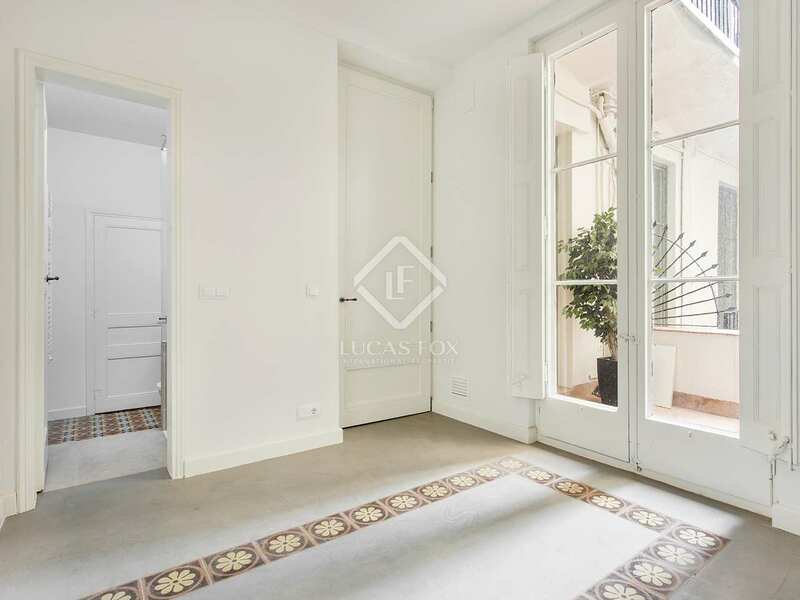 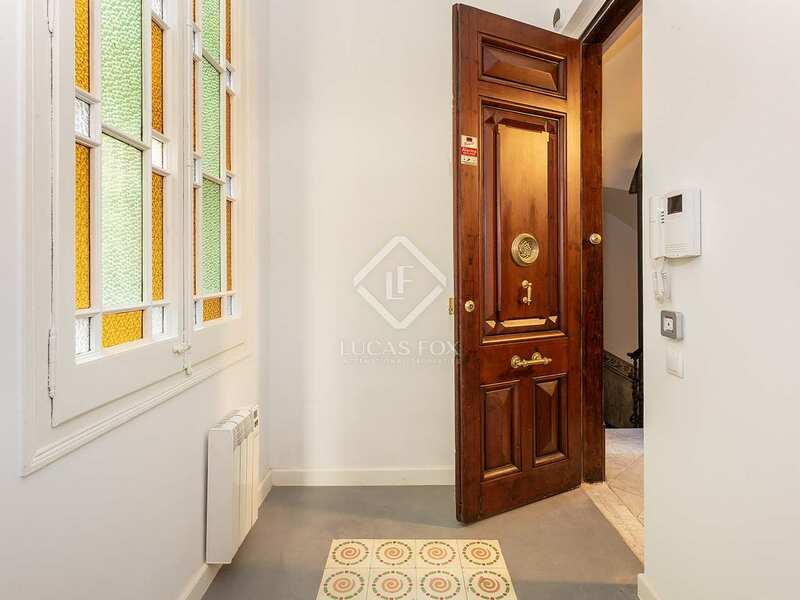 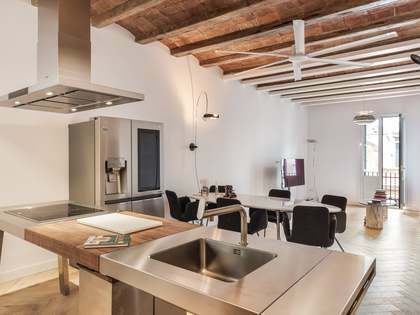 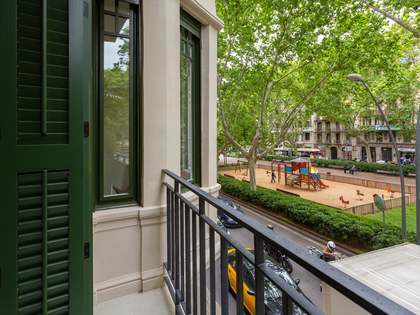 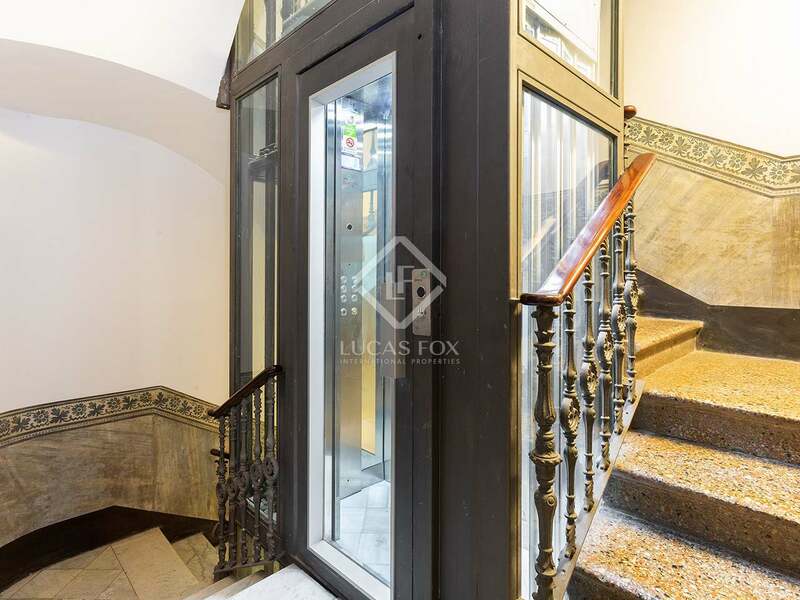 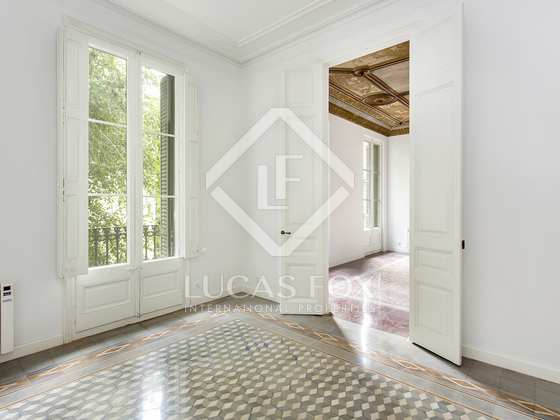 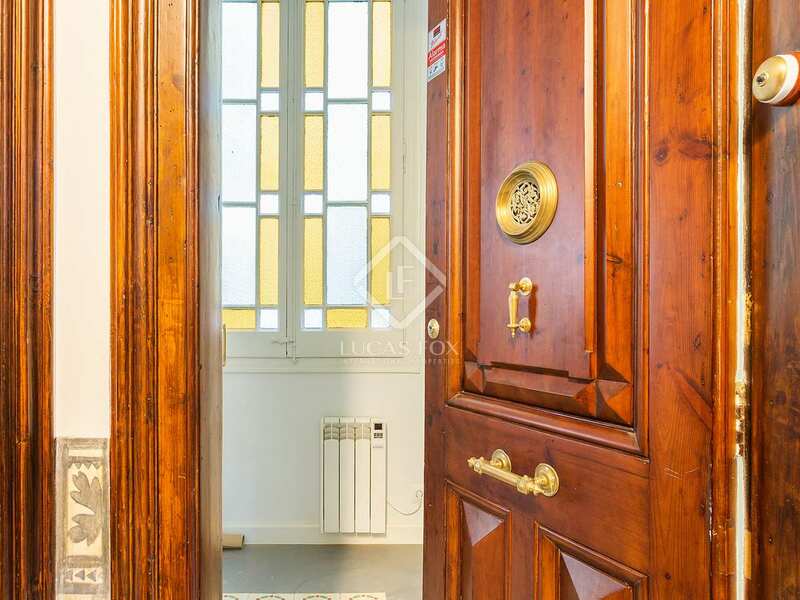 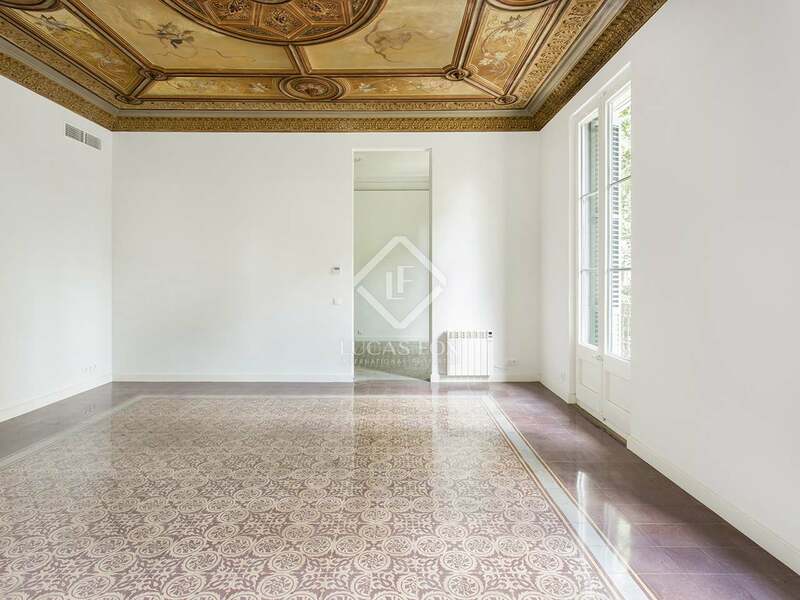 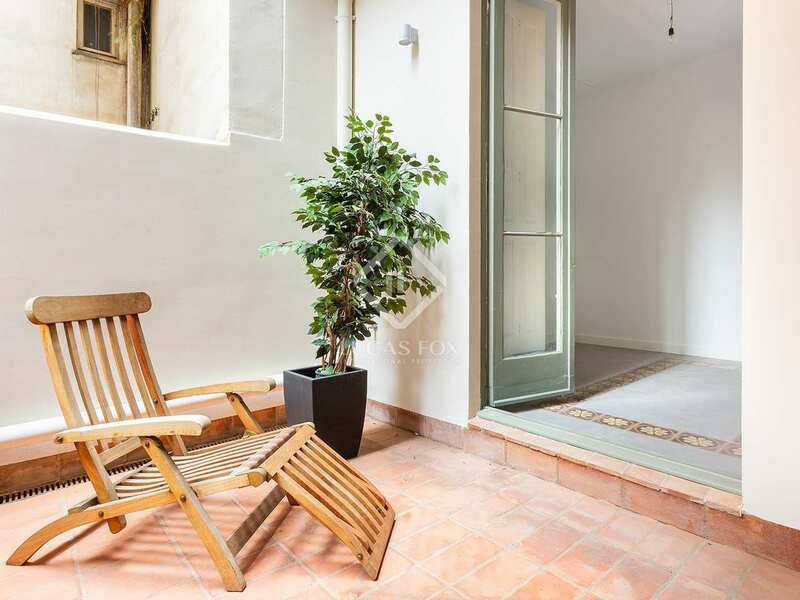 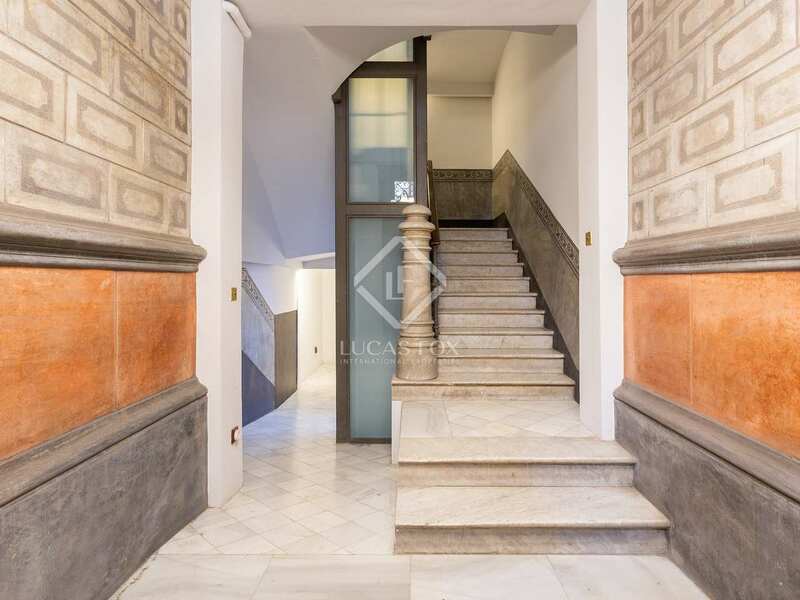 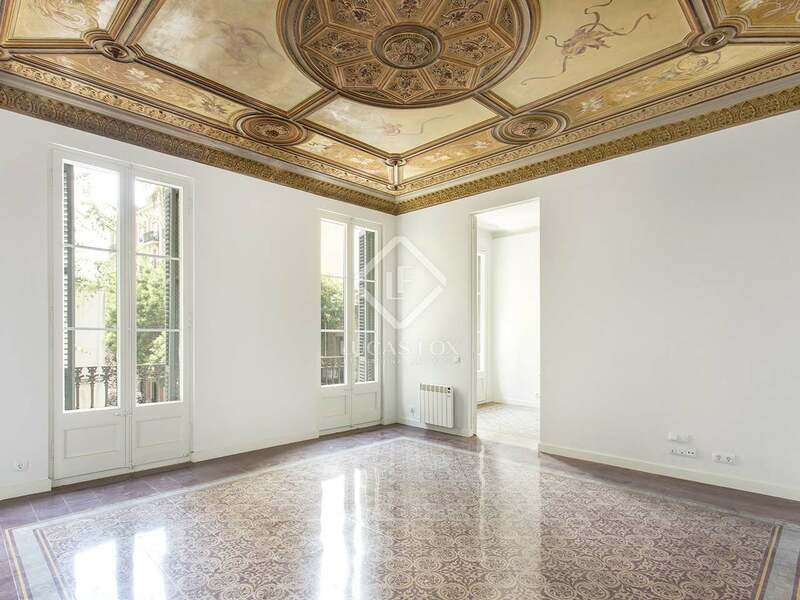 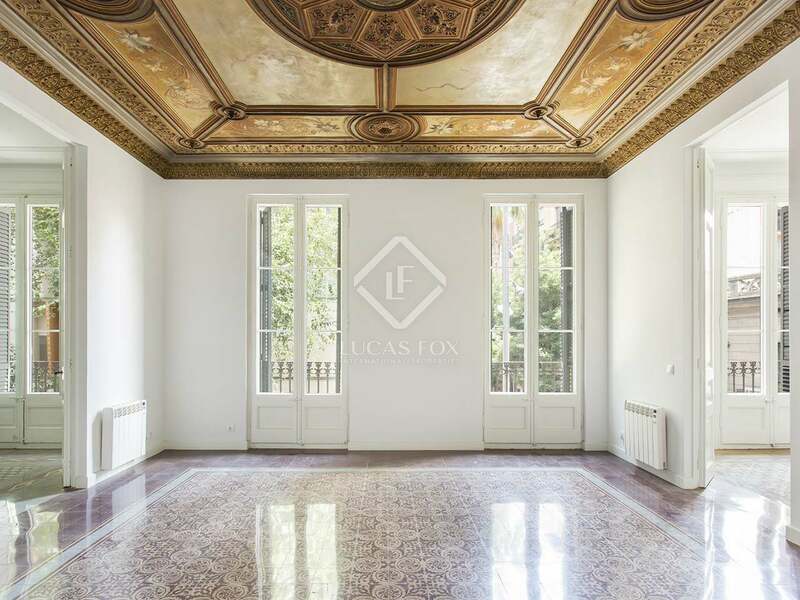 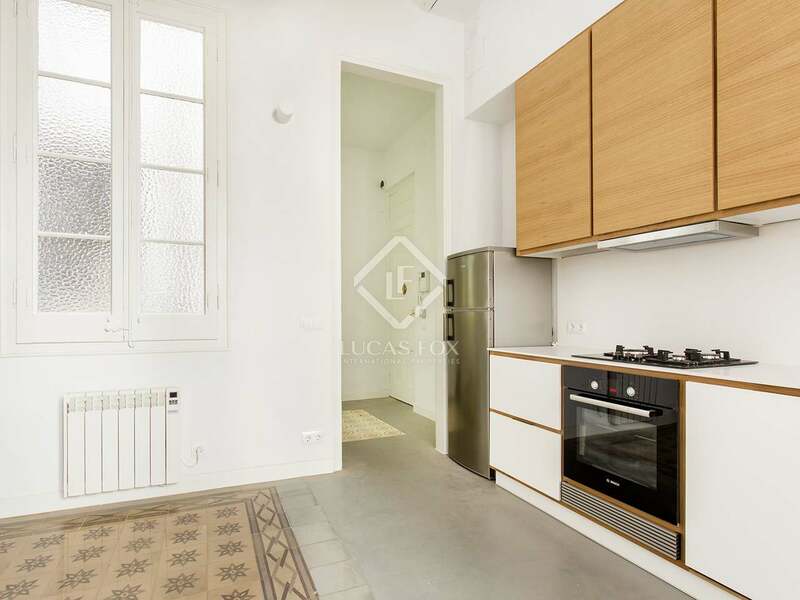 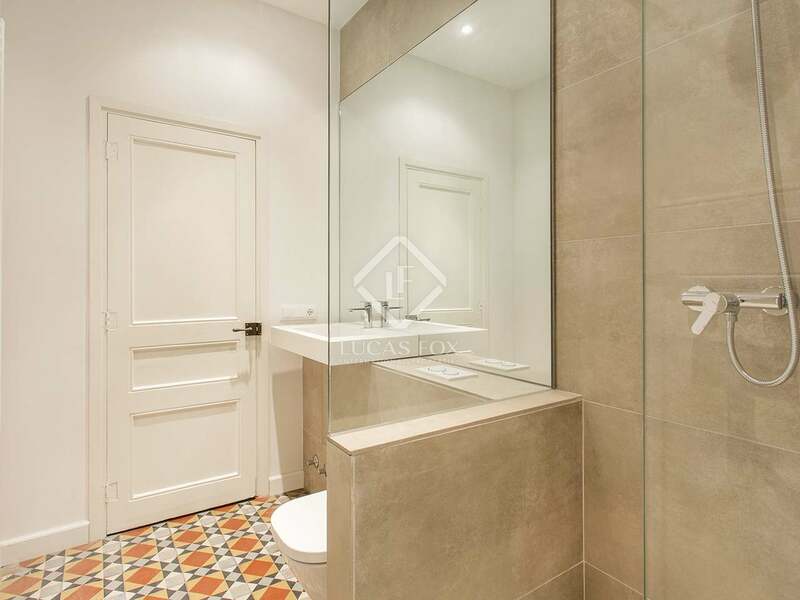 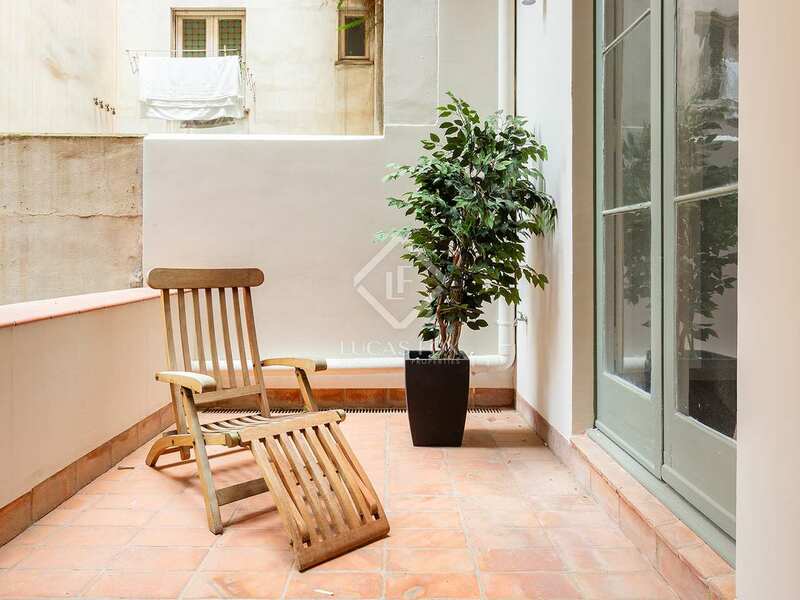 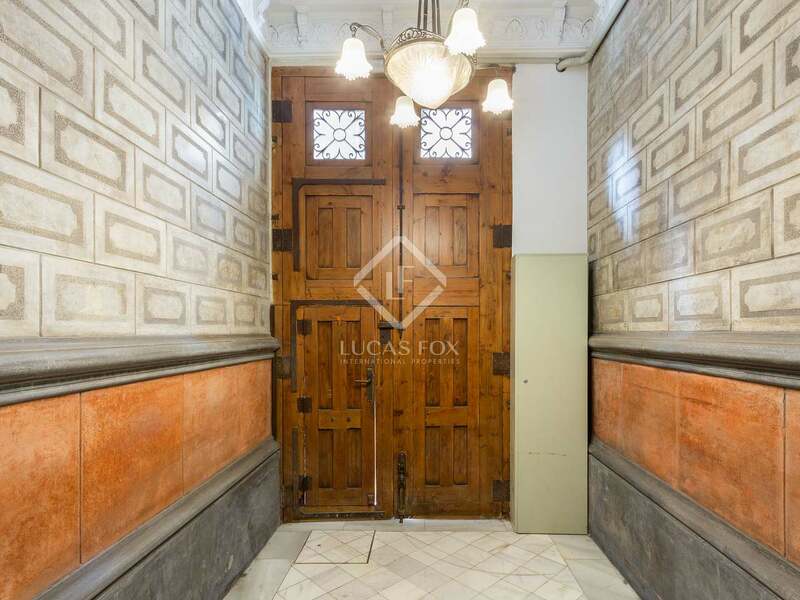 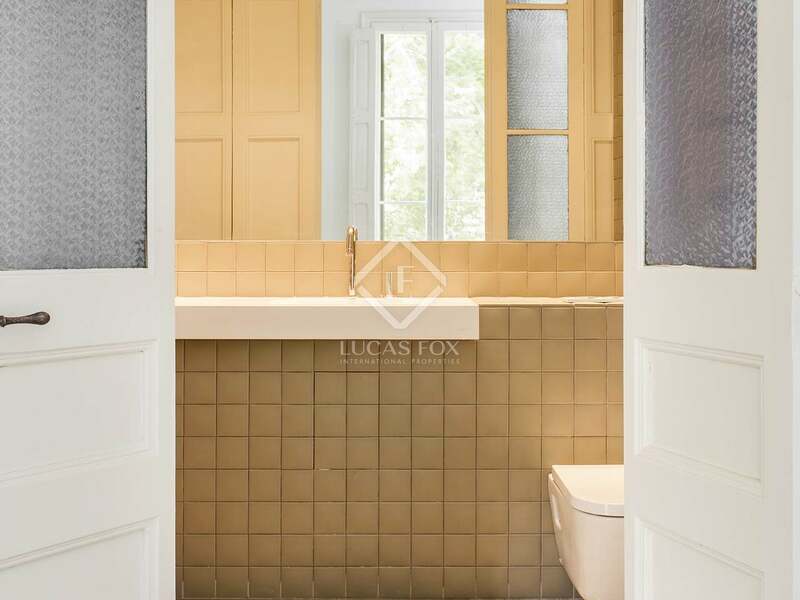 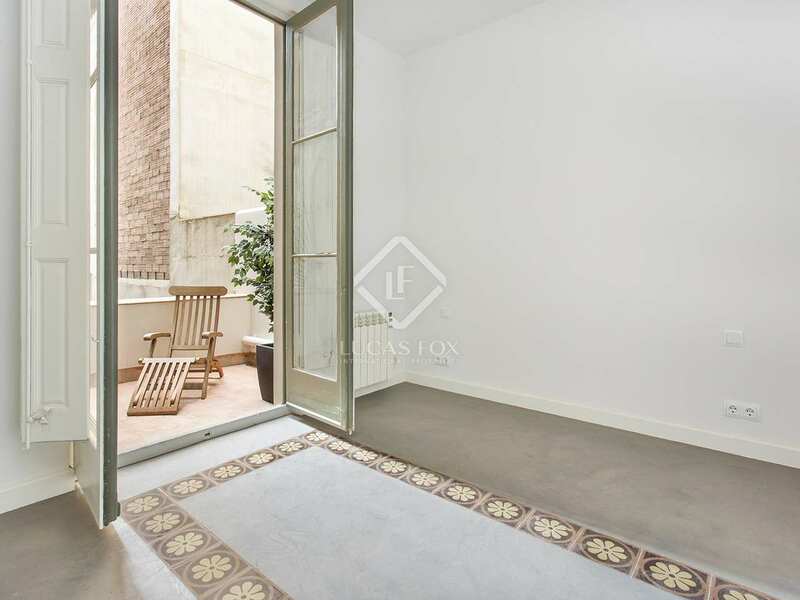 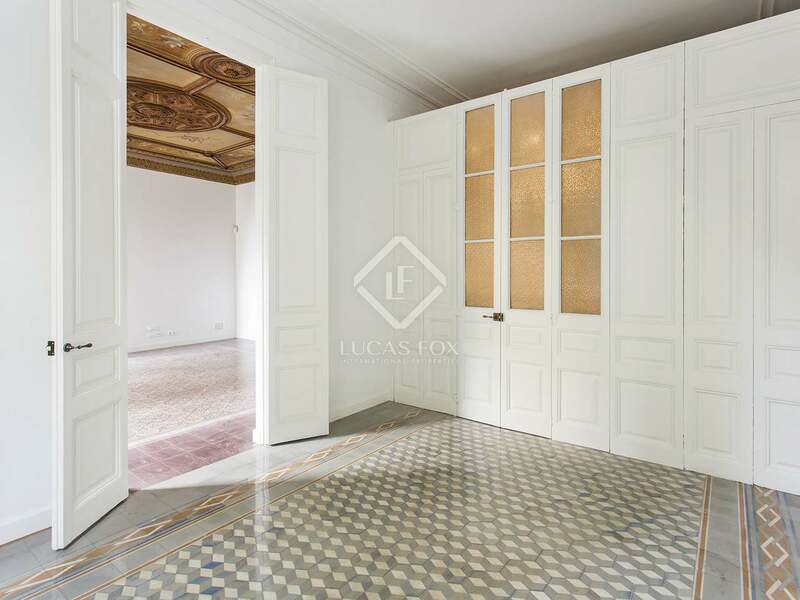 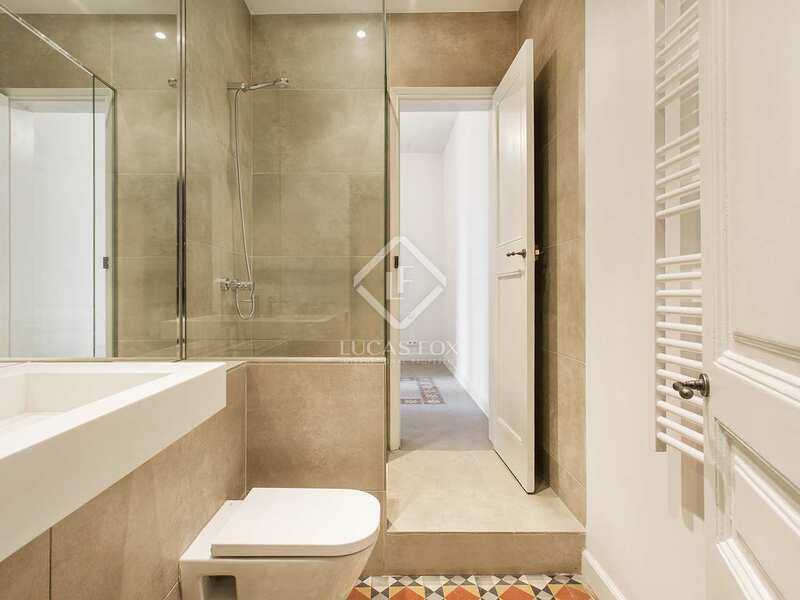 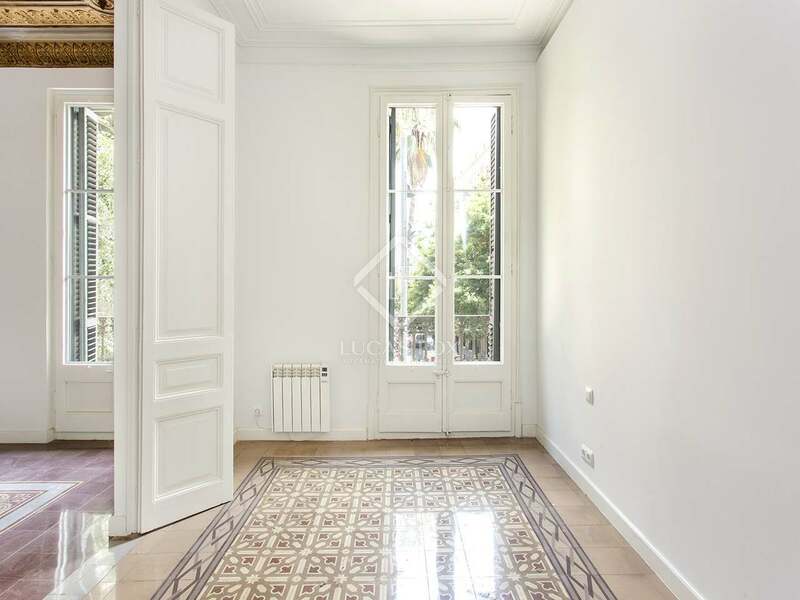 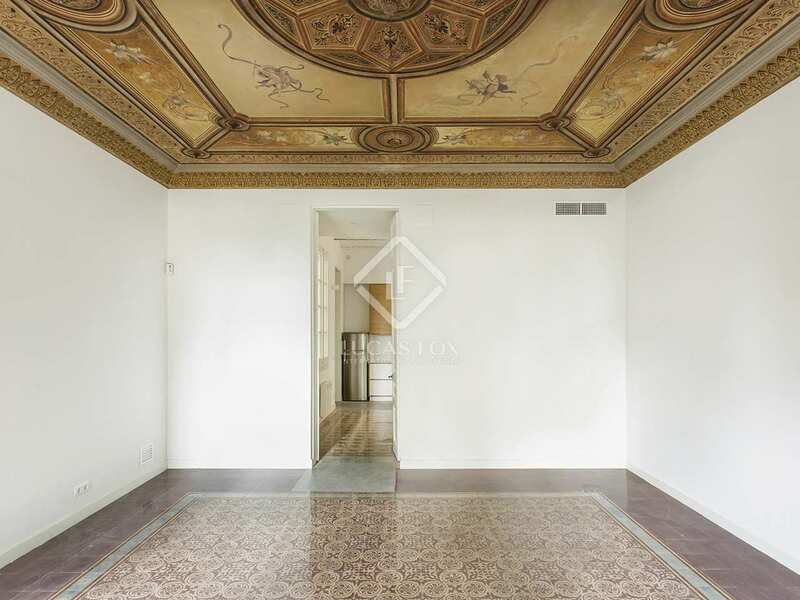 A wonderful opportunity to live in a perfectly renovated period property in Gracia. 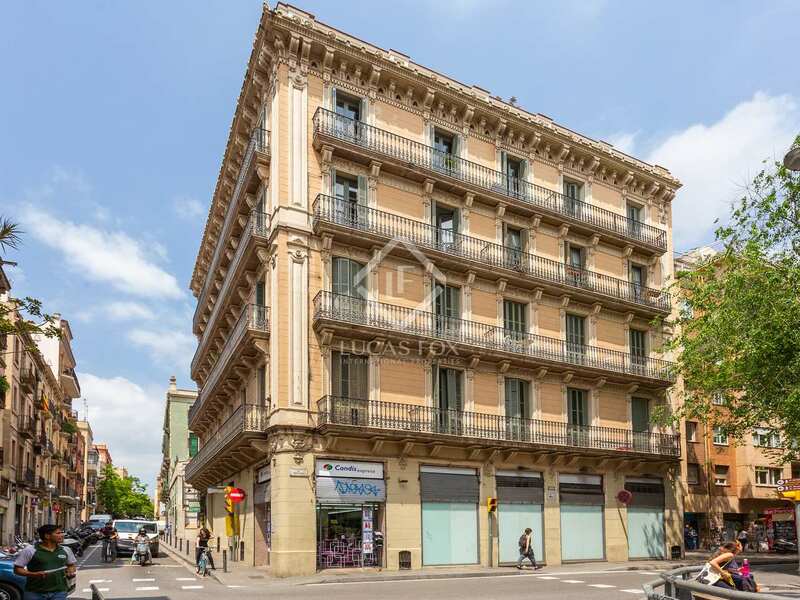 Property located in the centre of Gracia, close to a variety of shops, car parks and supermarkets. 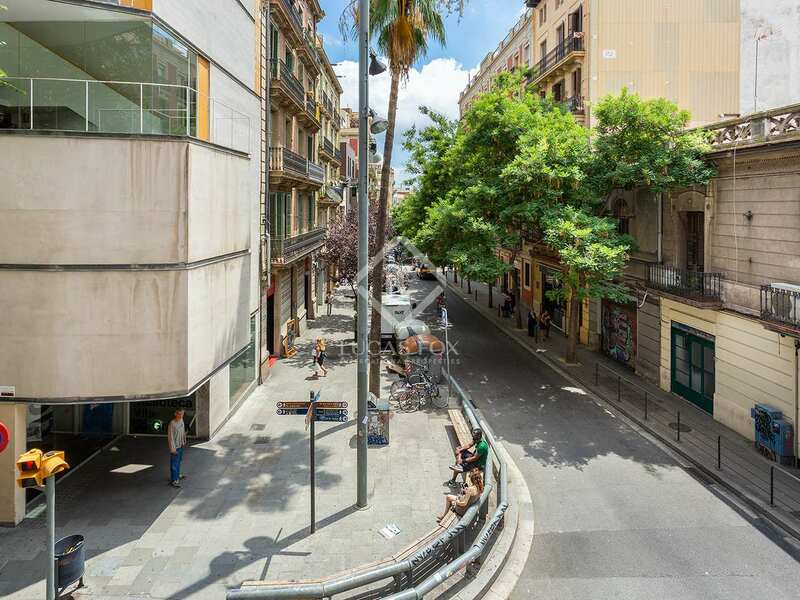 It is also near the "Mercado de Gracia" which is currently undergoing complete renovation. 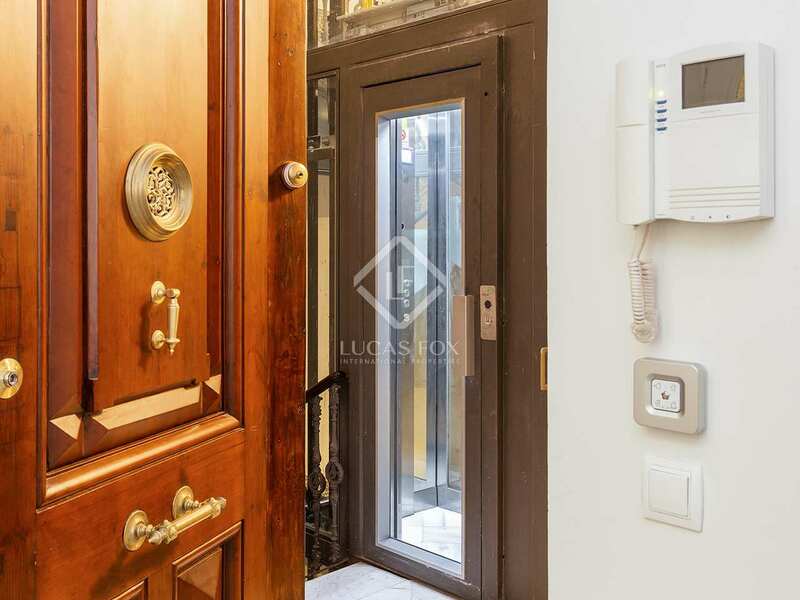 Access is very easy.